With ShareMe 2.0 technology, now you can pair your headphones with other Bluetooth headphones to share your music, videos, and games across any brand � wirelessly. 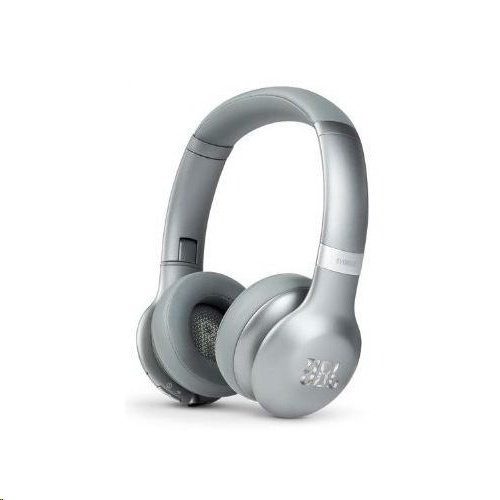 Slip on the JBL Everest 310 and you�ll experience up to 20 hours of wireless freedom, the thrill of mind blowing, Legendary JBL Pro Audio sound and the ergonomic comfort offered by premium material finishes and a snug fit. Share Me 2.0 technology allows you to connect and share your music with friends, via Bluetooth. A quick 2-hour recharge, a sleek flat-fold design and a compact hard carrying case make these headphones the perfect companion for your busy lifestyle. A built in microphone facilitates crystal clear hands-free calls, and easy controls on the ear cup let you take charge of your music. Available in four metallic finishes, these headphones put your passion and life, front and center. Dare to listen.